The first six months of 2016 saw over 100 Tamil movie releases, giving cine-goers plenty to choose from. While some films hit the jackpot, most ended up biting the dust. Among the top actors, Vijay’s Theri is one of the biggest blockbusters of the year. Vijay Sethupathi’s cop flick Sethupathi and Simbu’s romantic comedy Idhu Namma Aalu also did good business. However, the internationally acclaimed Visaranai, Udhayanidhi Stalin's Gethu and Suriya's thriller 24 failed to rake in big moolah. A look at the five top Tamil films in the first half of 2016. 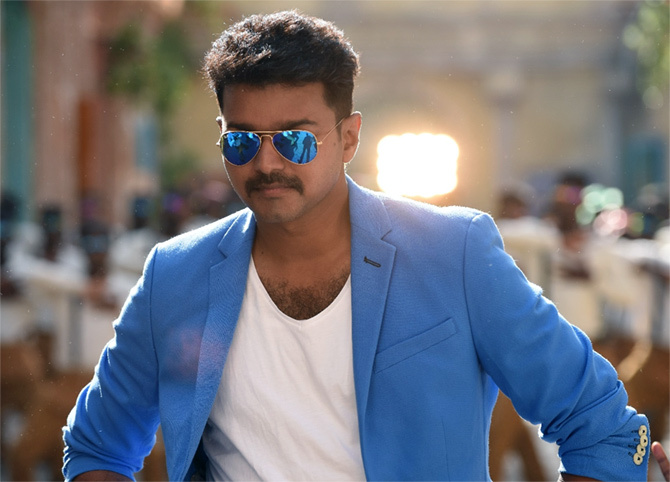 An action-packed entertainer, Vijay’s Theri had all the ingredients for a spectacular commercial success. The film catered to Vijay’s mass hero image with over-the-top dialogues, high-octane stunts and plenty of emotions. Co-starring Samantha and Amy Jackson, it recently completed its 75-day run at the box office, becoming one of the highest grossing films of the year. Directed by Atlee of Raja Rani fame, the film revolved around an honest cop giving up everything to keep his daughter safe. The film marked GV Prakash’s 50th film as composer. Director Sudha Kongara's sports drama Irudhi Suttru was simultaneously shot and released in Hindi as Saala Khadoos. The film portrayed the life of a failed boxer caught in the nightmare of dirty political games. Its lead actor R Madhavan and newcomer Ritika Singh, a real-life boxer, stunned the audience with their ruthless aggression and charm on the big screen. A tale of grit and passion, the film went on to become a huge critical and commercial success. Sivakarthikeyan has proved that he is one of the most bankable stars in Tamil cinema, churning out hit after hit with seemingly no effort. His latest venture Rajini Murugan, which released during Pongal (January 14), was the first major blockbuster of the year. The film marked Sivakarthikeyan’s second venture with director Ponram after the major success of Varuthapadatha Valibar Sangam in 2013. Malayalam actress Keerthy Suresh played the lead, supported by comedy actor Soori, Rajkiran and director Samuthirakani. Director Vamsi Paidipally's Tamil-Telugu bilingual Thozha is the remake of the French film The Intouchables. With Telugu superstar Nagarjuna Akkineni and popular Tamil actor Karthi playing the leads, the film created quite a stir at the box office. Titled Oopiri in Telugu, the film portrayed the beautiful bond shared by a quadriplegic (played by Nagarjuna) and his wayward caretaker (Karthi). The gorgeous Tamannaah played the female lead with Shriya Saran and Anushka Shetty appearing in brief roles. Directed by Sasi of Poo fame, Pichaikkaran turned out to be one of the surprise blockbusters of the year. The film featured music composer-turned-actor Vijay Antony and debutante Satna Titus. Vijay also composed the music and produced the film under the Vijay Antony Film Corporation banner. The actor played a beggar in the film, giving an insight into the life of pain and humiliation of the deprived in our society. Who will get the Theri remake, SRK or Akshay Kumar?